Conflict in the family can often cause children distress and anxiety. Counselling may help children and young people in dealing with these difficult feelings. We offer a child and young person counselling service, through Donna Harris. 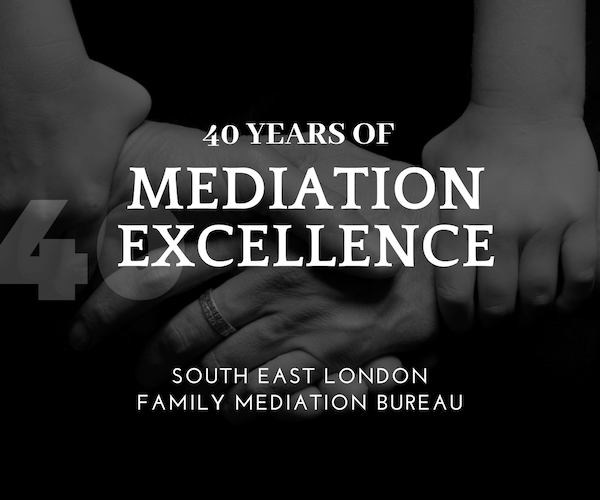 This can run in advance of, alongside, or following family mediation. It is a short-term and time limited service, up to a maximum of three sessions for children between 7-18 years of age. When emotional difficulties become overwhelming, they can lead to disruptive or withdrawn behaviour, marked changes in academic achievement and low self-esteem. In providing a confidential safe space for children where difficult feelings can be expressed and explored, counselling enables children to gain a better understanding of themselves and of their situations, helping them develop strategies to manage crises and change. As a result, relationships can improve and behaviour can be managed better. Donna has specialised in working with children and families over the past 30 years. She is a qualified social worker, family therapist and play & drama therapist. As well as working as a Children’s Guardian, Donna has worked as a mediator and Child Counsellor at the SELFMB. When not at the Bureau, Donna works at the Tavistock & Portman Clinic in London, an NHS Trust specialising in talking therapies. Availability: Saturday mornings, 9.30 – 12.30, at the Bureau, in Bromley. Fees: SELFMB is a not-for-profit organisation and a registered charity. We are able to subsidise the cost of counselling for those who cannot afford to pay. There is a scale of fees according to parent’s income. The full fee for each session is £50. Each session lasts about 45 minutes. Referrals: please note that consent needs to be given by both parents for child counselling. If you would like to take up this service to gain emotional support and a space to think about feelings for your child, you can ask your mediator, or contact Stella Hemphill, our office manager.